In 1989, a group of civic-minded wine and food enthusiasts had a vision of creating a series of events to raise money for charity. Out of this vision, the Charlotte Wine & Food Weekend was born and we have contributed over $5 million to the community over the last quarter century. With time and care, the event has grown in stature, attracting the best winemakers and chefs from around the world. In fact, Forbes Travel Guide ranked Charlotte Wine & Food Weekend one of the top five in the United States in 2014. Charlotte Wine & Food Weekend's charitable endeavors focus on Nourishing Youth and Children, nurturing the whole child in body, mind and spirit. We are proud to partner with the beneficiaries of the 2017-2019 seasons for Charlotte Wine & Food Weekend: Charlotte Concerts; The Council for Children's Rights; Mitchell's Fund; Pat's Place Family Advocacy; and The Relatives. Their mission: to present the best in the performing arts for the widest general audience here in Charlotte and surrounding communities, and to support arts education initiatives that cultivate an understanding and appreciation of the arts among the children in our local schools. Charlotte Concerts sponsors unique and inspirational extracurricular collaborations for young musicians with visiting artists through free Master Classes and Informances. Charlotte Concerts actively seeks out innovative opportunities to support music and arts education in our schools and communities. This education outreach includes the donation of new musical instruments, equipment and print music, private music lessons for underserved students, the underwriting of selected summer band camps and all CMS Middle School Honors Band, Chorus and Orchestras. Artist-in-Residence dance presentations in local underserved schools are also a part of the education outreach of this organization. As one of the largest and the most comprehensive advocacy and legal services programs for children in the Southeast, the Council leads the community to stand up for every child's right to be safe, healthy and educated. Funds from Charlotte Wine & Food Weekend will be used to support their efforts to assist abused and at-risk children. Mitchell’s Fund supports the social needs of children and families facing the crisis of a life threatening pediatric illness. The heart of Mitchell’s Fund is pediatric cancer, but the fund also supports pediatric mental health issues.Contributions are used to fund expenses like mortgage payments, utility bills, funeral expenses and counseling services. Mitchell’s Fund gives support that allows parents to relieve financial stress and focus on caring for their sick child. Pat's Place Child Advocacy Center provides a safe place where every child is heard. Children who are suspected victims of child abuse receive the support and treatment they need at Pat's Place as evidence is gathered, by partnering agencies, to stop the abuse and begin the healing process. Charlotte Wine & Food Weekend will partially fund the Family Advocates who provide direct assistance to the children and who also offer after-hours emergency response for families in critical need. 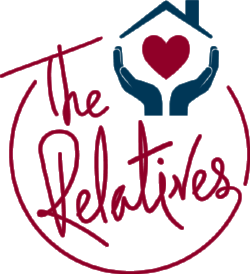 The Relatives’ mission is to keep kids safe, families together, and to prepare youth and young adults to be healthy, productive, and engaged members of the community. The Relatives organization serves the most vulnerable youth and young adults in Charlotte-young people who are not just homeless or in crisis, but many who have aged out of public systems such as foster care, juvenile justice, and children’s mental health systems. The Relatives aims to empower these young adults to become self-advocates and find viable, long-term paths to success through a coordinated continuum of services that serves nearly 6,000 youth, young adults, and families every year.